Thérèse Martin was born in Alencon, France, in 1873. 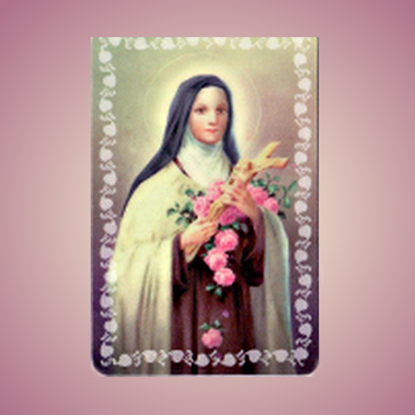 Whilst still young she entered the Discalced Carmel of Lisieux, where she lived - as Sister Thérèse of the Child Jesus and the Holy Face - in the greatest humility, with evangelical simplicity and confidence in God. 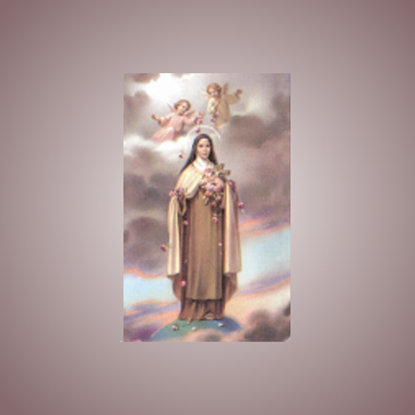 By word and example she taught the novices these same virtues. 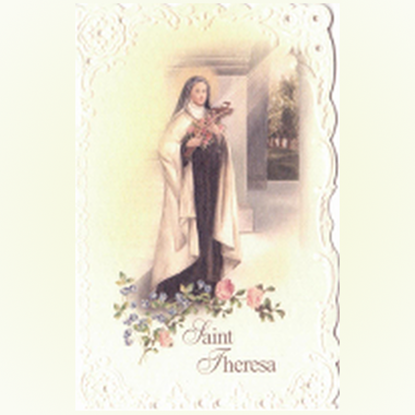 At the request of her sister Pauline, Thérèse wrote an autobiography which described her deep relationship with God and set out her spirituality of "The Little Way of Spiritual Childhood". 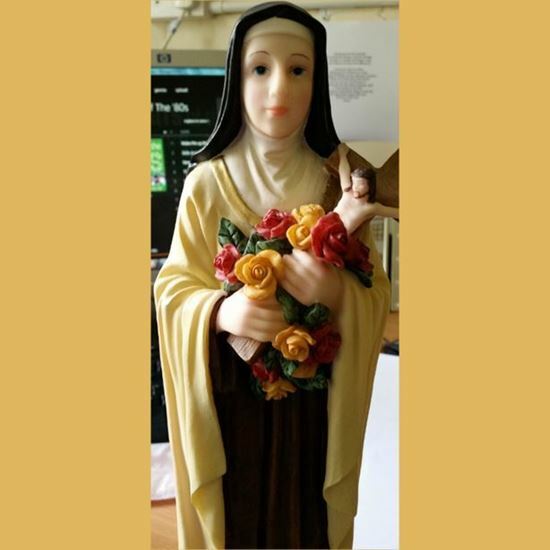 By this "Little Way" Thérèse taught the value of even small acts of love, and the importance of remaining simple and trusting before God who is a loving parent. 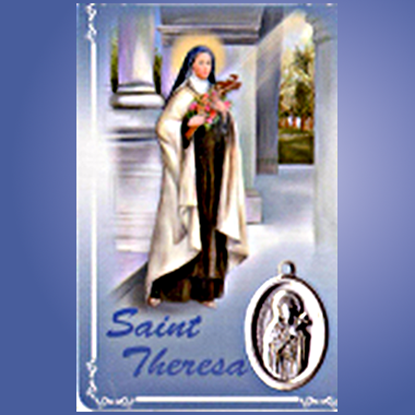 Offering her life for the salvation of souls and the spread of the Church, she died on September 30th 1897. 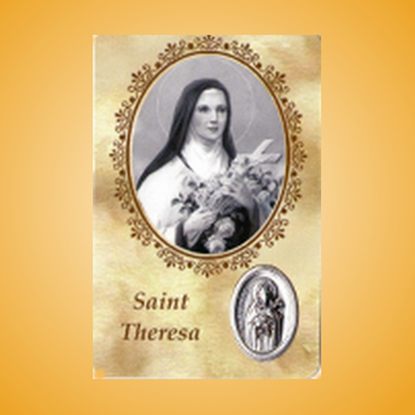 She was canonised in 1925 and declared a 'Doctor of the Church' in 1997. 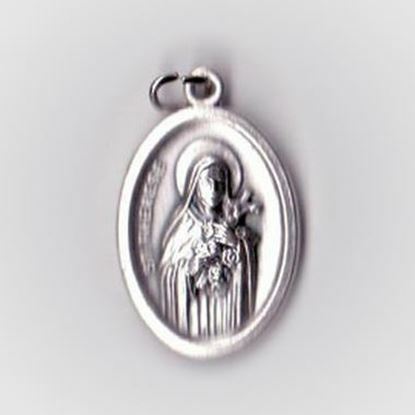 She is patron saint of many different things including a co-patron of France and of the Missions. 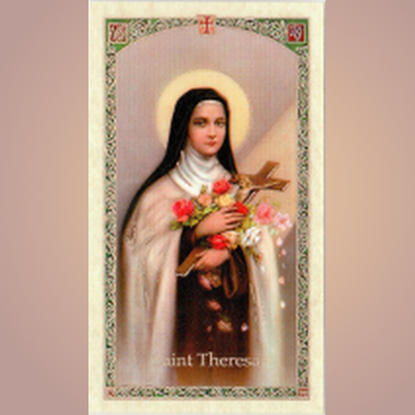 Despite dying so young after a life lived in obscurity, Thérèse is arguably the most popular saint of modern times. 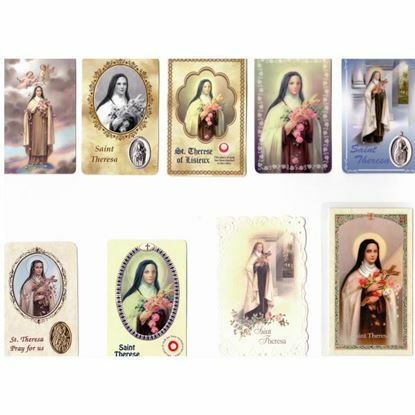 Various prayer cards for sale. Please click on image to view and purchase. 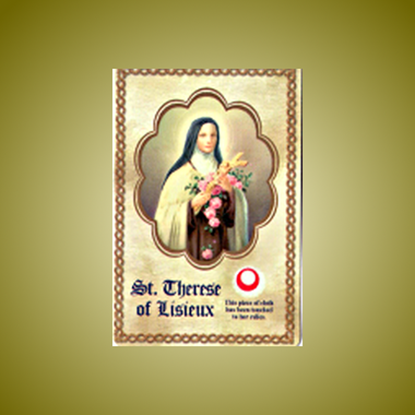 Saint Thérèse of Lisieux (born Marie Françoise-Thérèse Martin; January 2, 1873 – September 30, 1897), or Saint Thérèse of the Child Jesus and the Holy Face, O.C.D., was a French Discalced Carmelite nun widely venerated in modern times.